A series of workshops will take place over the next few weeks in your neighbourhood where you can get advice and support to apply to the fund. Stockport Council has announced that there will soon be another opportunity to apply to the Stockport Local Fund, the new community fund which is supporting great ideas that make a difference to your neighbourhood. A series of workshops will take place over the next few weeks where you can get an overview of the fund. You'll find out when the fund opens, how to apply and where to get advice and support. You'll also find out what type of projects we're looking for. No advance booking is required – just turn up on the day. Full details of all events are available on our events calendar. Councillor Elise Wilson, Stockport Council’s Executive Member for Reform and Governance, said: “If you weren’t ready to apply or weren’t successful last time there is another opportunity to apply to the Stockport Local Fund coming soon. To make sure you don’t miss out, now’s the time to start developing your great idea. 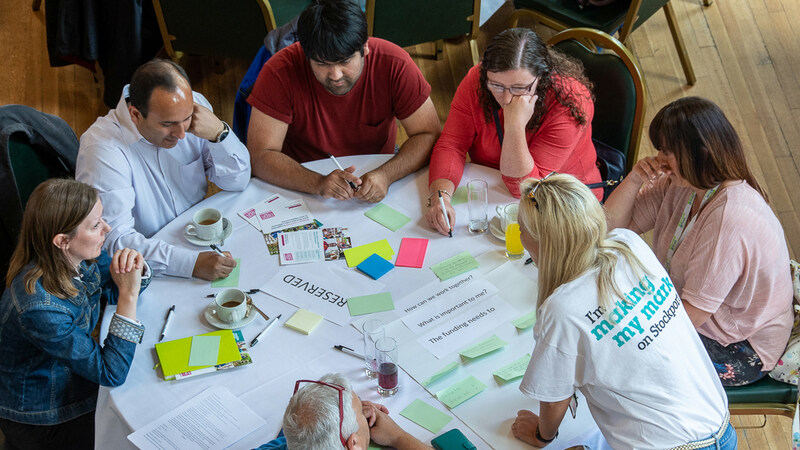 You can also take a look at our Stockport Local Fund web pages to find out how to get the help you need developing or organising your ideas and events, how to get in touch with us or to sign up for regular updates, including application dates.